If you go down to the woods today, watch your step. You might accidentally tread on a sleepy queen bumblebee. 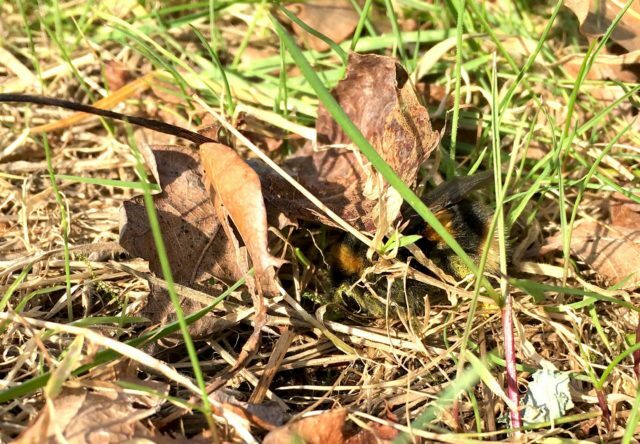 New research has shown that, after hibernating through winter, bumblebee queens spend most of their time resting among dead leaves and grass rather than flying. Previously it was thought that the queen bees dispersed quickly in the spring to found new colonies. The new evidence suggests that instead they make short flights punctuated by long rest periods on the ground. Conserving energy in this way gives them a much longer range as they search for a new site to colonise. The study was carried out by attaching small tracking antennae to the backs of queens that had just emerged from artificially induced hibernation. 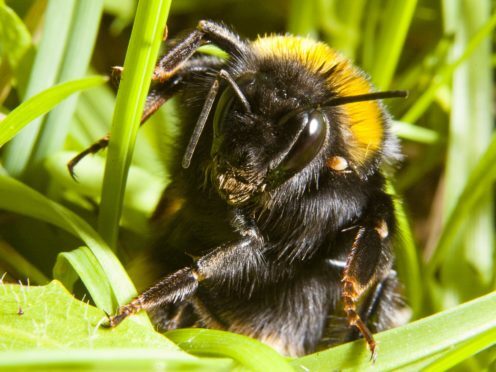 The findings, published in the journal Scientific Reports, showed that queen bumblebees spent an average of 10 to 20 minutes on the ground between brief flights lasting just 10 to 20 seconds. When they flew, they took off in random directions. Computer simulations showed that the short flight strategy could explain how queen bees ended up many kilometres from their hibernation spots. 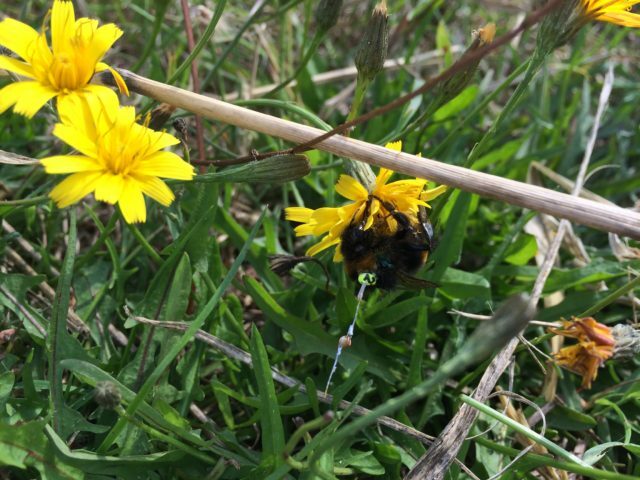 Co-lead author Dr James Makinson, now based at Western Sydney University in Australia, said: “Our findings suggest that creating pollinator-friendly corridors between conserved landscape patches would be helpful.. The researchers had advice for anyone stumbling on an exhausted queen bumblebee around this time of year. 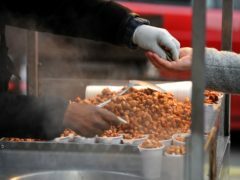 They suggest filling a teaspoon with a half water, half sugar solution and moving it gently towards the insect’s antennae or mouth parts. Sipping the sugar water will help the queen to re-fuel and prepare for the next flight, they said.